Laser cut wedding signs are hot this year! And they are especially cool because you can hang them in your home after your wedding. I am rolling out new designs for sale in my Etsy shop this week and next week. 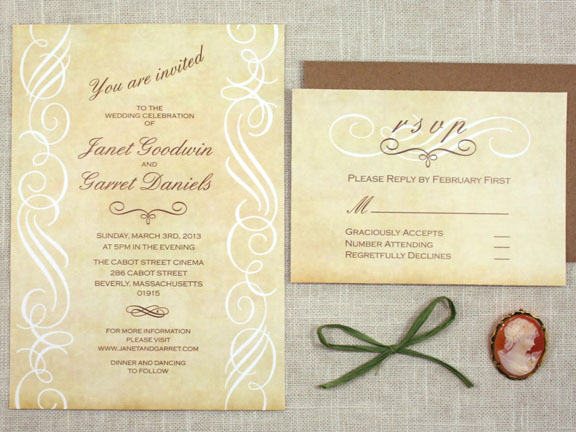 Here is one that I personally love: a vintage style invitation featuring a pretty scroll design and script fonts. Check out more pictures and order your invitations in this link: Sofia Invitations Etsy Shop. I am getting ready to letterpress this new invitation for a very sweet client in my local area of Spartanburg, SC. 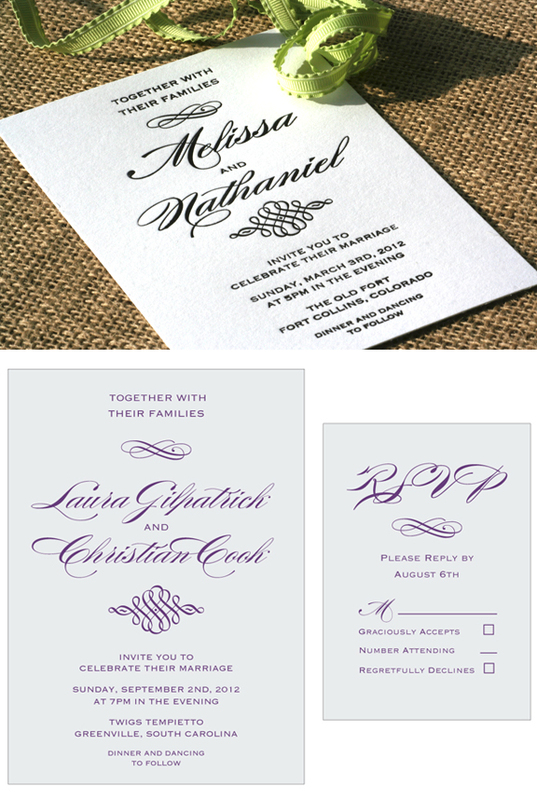 I will be printing this modern and elegant design featuring a script font and flourish decorative elements on a beautiful light grey paper, using a dark purple ink….with matching envelopes! It is going to be sooo pretty! I will show the end result later! For more information about this design, please visit the Sofia Invitations and Prints Etsy Shop.